Skytec Rentals is a maturing company in a growth-oriented market and is always looking for enthusiastic people to join our team. Come join our team of committed professionals. Send your resume to info@skytecrentals.com. Great people to deal with. Pricing is always fair. Equipment is delivered and picked up when require. If all my suppliers were this efficient my life would be a lot easier. Skytec Rentals has been a pleasure to deal with, they have a very good response time to requests and most of all when there is an issue onsite there is a tech dispatched and arrived on site within the hour correcting the issues. All the staff is courteous and friendly and again just a pleasure to deal with and would recommend Skytec to anyone looking for aerial lifts. 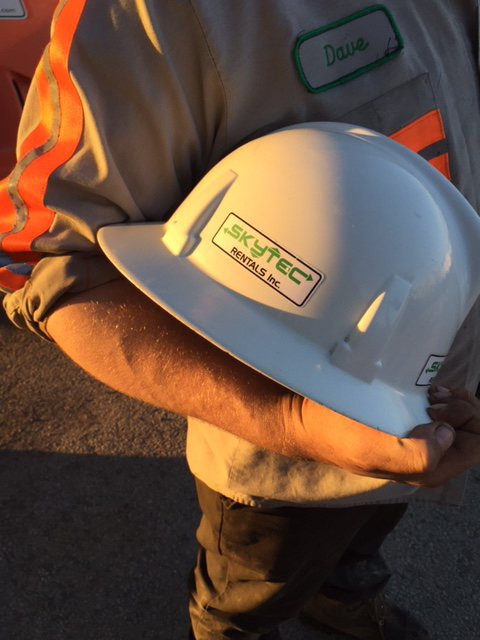 The highly skilled professionals at Skytec Rentals provides us with peace of mind knowing that from a rental point of view, we remain competitive with their high-level of service and reliability. 100% pleased with Skytec’s performance and highly recommendable company. You guys are great! Professional, on-time and very knowledgeable. Thanks again for all your help. I thought I would take a minute at the end of the year to thank you for your all of your assistance throughout 2013. Time and again your staff came through for us regardless of how tight the timelines were or how many machines we required. You’ve built a great team at Skytec George, and in my position its very comforting to know that I have a company like yours that I can depend on. It has been a pleasure using Skytec as my machine lift rental supplier. We have been with them from day one and George is not only a professional in his field but he is also a gentleman. They are easy to engage with, reliable to depend on and when I have an issue, they are prompt to resolve it. I would recommend anyone to used them as their lift rental supplier. Just wanted to express my sincere appreciation for the continued and solid commitment, loyalty and excellent product, service that SKYTEC provides to us. Your guys are the best and it is a pleasure to work with real people who not only “speak the core values”, but also “live the core values”. All the best to you and yours wishing you continued success! I want to thank you and your Team for the great job handling our sites and their demanding time lines. Skytec consistently delivers on our requests and ensures clean units are on site on time and in working conditions. We have a number of sites with multiple lifts and Skytec and your staff make it easier to maintain control and track the units. Thanks for all your efforts, they are much appreciated! Dear George and Frank, I just wanted to say thank you to both of you and all your employees for making the lives of all the employees at Daco more enjoyable. Your professionalism and prompt attention to detail has made dealing with you a pleasure. Please keep up the great job. Need a rental estimate? Use our Quick Quote to get accurate pricing for your project.